Boo Hoo Hoff from Art in the Age. Available for Repeal Day. Raise a glass to the 85th anniversary of the end of Prohibition. On Dec. 5, 1933, the 21st Amendment was passed, repealing the 18th Amendment and bringing an end to the national ban on alcohol. This Repeal Day, local bars are celebrating with parties and specials. One spot is serving up a boozy concoction that you need a secret password to order (we'll share, don't worry). There's also happy hour that goes all night, and a four-hour open bar at a distillery. Order the Boo Boo Hoff cocktail at the Old City tasting room using a secret password. Make sure to say "I'm here to see a guy about a loan," in order to receive the drink. The fruity rum cocktail is named after Max "Boo Boo" Hoff, a Philly gangster who bootlegged through Franklin Mortgage & Co. 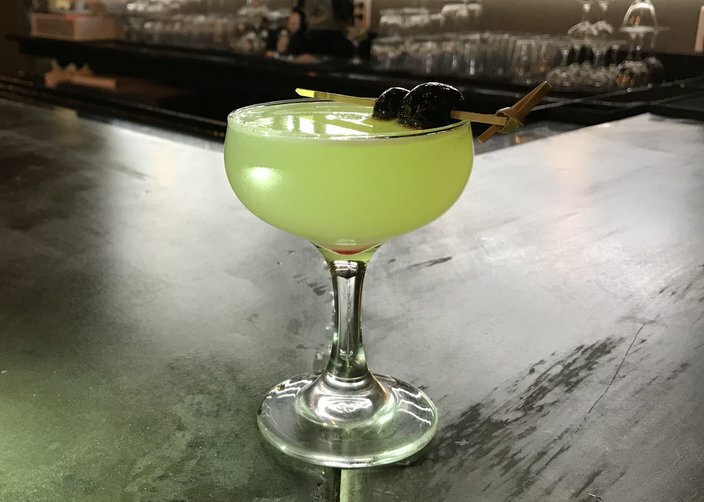 The recipe is a twist on a Mary Pickford, a cocktail dedicated to a film actress of the era. The Boo Boo Hoff is available all day for $11. Celebrate Repeal Day at Bluebird Distilling. The distillery in Phoenixville is hosting a party from 7 to 10 p.m. In addition to the regular selection of house and classic cocktails, bartenders will also serve seven classic Prohibition-era concoctions. 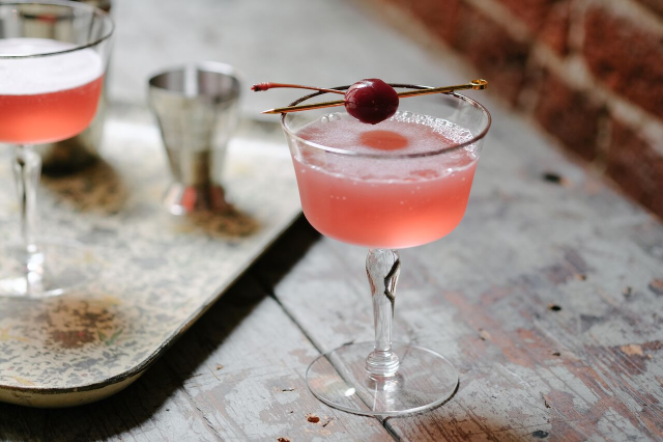 Try the Last Word, Bee’s Knees, Mary Pickford, Sidecar, Hemingway Daiquiri, Jack Rose or Fitzgerald. All cocktails will be available for $11. Also, there will be complimentary snacks like house-made breads and butters, deviled eggs, cheese, olives and mixed nuts. Adding to the fun, all attendees are encouraged to come in 1930s attire. Prizes will be given out to best dressed. Bluebird Distilling's newly opened cocktail bar and bottle shop at The Bourse will also serve the seven Prohibition-era cocktails from noon to 10 p.m. There are two ways to celebrate Repeal Day at chef Nick Elmi's Old City restaurant. Spend the day sipping at the bar. Lead bartender Zeq Rudy created five super boozy, speciality cocktails. They're available for $10 each, from open to close. There's also an opportunity to take a cocktail class featuring Old Forester Whiskey. Representatives will discuss cocktail history, then lead guests through a cocktail demonstration. Complimentary bites included. Tickets for the class are $50 and can be purchased by calling (267) 606-6313. It runs from 6 to 8 p.m.
Let the booze flow! Happy hour is extended at The Study Hotel's lively restaurant and lounge. Enjoy deals from 4:30 p.m. to close. The speciality cocktail, Pomegranate Gin Rickey with Bluecoat Barrel Finished Gin, will be $10. Draft beers will be $5, red and white wine will be $7 and other classic cocktails, like the Negroni and Old Fashioned, will be $8. To eat, there will be small plates for $5. Get into the spirit of the era by dressing up like it's the '30s to dance and drink the night away. The fun starts at 8 p.m. and lasts until midnight. Tickets are $55 per person and can be purchased here.